These days, Half-Life is generally regarded as one of the most important PC games of all time. That may be a little hyperbolic, but to a lot of people, both Half-Life and Valve (the studio that developed it) are pretty much legendary icons in the gaming world. 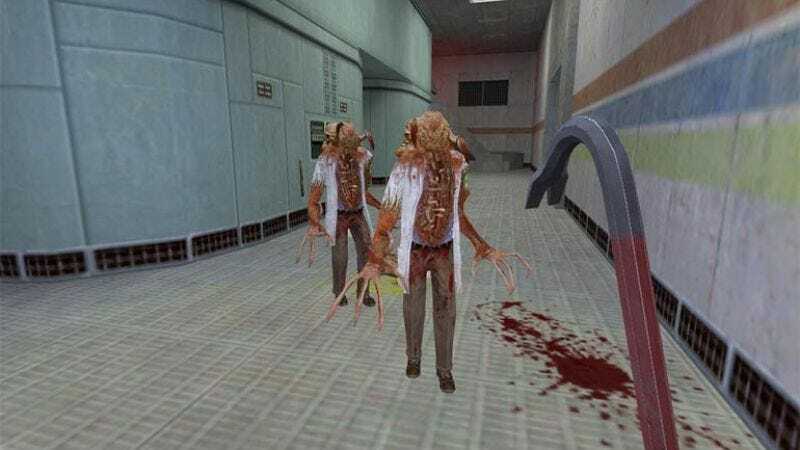 Back in 1998, though, Valve was just a small studio trying to make a shooter game about a silent scientist smashing inter-dimensional monsters to death with a crowbar. Writer Marc Laidlaw wasn’t there for the beginning of Half-Life, but he was there for what he thought was the end. He joined Valve in the summer of 1997, thinking he’d help polish Half-Life’s story and then move on to another game, but then the studio decided to scrap nearly the whole thing. This forced Laidlaw to really dig in and figure out how to make a story work in a first-person video game, something that hadn’t really been pulled off up until that point. Laidlaw just left Valve earlier this year, and with his newfound freedom, he has been digging through his archives and sharing interesting things he finds. One such thing is an extensive essay that he wrote on the day after Half-Life was finished (at least as far as he remembers). He’s not sure if it was ever published before, but he uploaded it to his website as a sort of time capsule to a very interesting time in PC gaming—specifically the moment just before Half-Life became a big deal. The essay touches on how Laidlaw got a job at Valve, but it’s mostly about what it was like being a guy who didn’t really know how to make games trying to wring a coherent story out of the constant cuts and revisions that Half-Life was going through. He compares it to the process of writing a novel, with certain things getting shifted around or teased earlier in the story for a greater payoff later. Half-Life’s plot isn’t especially heavy stuff, but the way it’s presented—all in first-person and with protagonist Gordon Freeman literally never speaking—was pretty revolutionary, so it’s interesting to read Laidlaw’s thoughts about why that works and why it was important to fight for stuff like a story in the first place. You can read Laidlaw’s whole piece at this link.